Everyday we learn something new. As the Greatest Show On Earth, Carnival, was swiftly approaching and I heard that Tatyana Ali. An actress of the highly rated television show “The Fresh Prince Of Bel-Air”, whose father is a Trinidadian of East Indian descent, was gracing the beautiful Island, accompanied by Actress Vivica Fox, Producer Damien Dante Wayans and Actor Darrin Henson of Soul Food the TV series. I took the initiative, out of curiosity to do my own internet research in finding out the other celebrities of Trinidadan descent that reside in the U.S, or who were born and bred on the island from reality TV stars, actors, famous bloggers and artistes such as Nick Minaj along with Trinidad James. During my research it was discovered that the following people are Trinidadian by descent of their parents; Rapper, Foxy Brown. The first female Fashion Designer to design a Jordan sneaker Vashtie Kola, she is also a Directer/Cinematographer, Blogger and Stylist. Jackee Henry who acts as the mother of twin sisters, Tia and Tamera in the TV show “Sister Sisters”. Alfoso Riberio, who acts as Calton Banks in “Fresh Prince Of Bel-Air”. Karyn Persons, who is also a cast member of the show acting as Hilary Banks. Romany Malice of “The 40 Year Old Virgin” and Point Guard for New York Knicks, Mike Bibby. 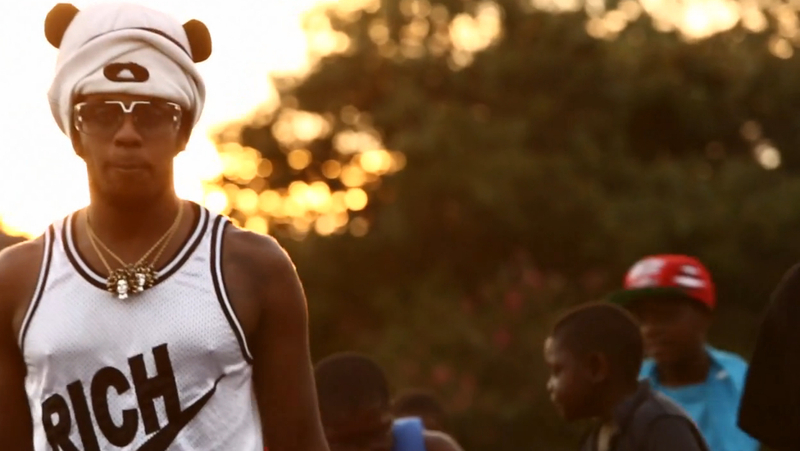 Rapper, Nicki Minaj, At Her Video Shoot In Trinidad, Pound The Alarm. As She Represents Her Country’s National Colors With Pride, Red, White And Black. 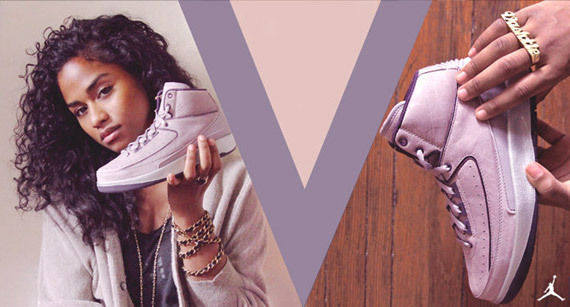 The Multi-talented Vashtie Kola, Holding The Violet Sneaker She Designed For Jordan! To The Left Is Actress Tatyana Ali, For Carnival 2013! Knicks, Point Guard Mike Bibby. Ray J’s Official Music Video For His Controversial Hit Single, “I Hit It First” Is Finally Released. Ray J’s Recently Released Hit Single “I Hit It First,” Caused Controversy! The Latest In the Celebrity World.